A community where there is awareness of the current issues of the Muslim world, interested in doing research work and conscious of reform for the true believers who shall be effectively managing their economic and social development for a better quality of life in both worlds. 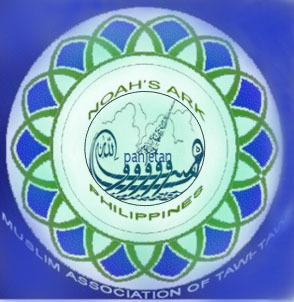 To invite people for the promotion of the Teachings of the Ahlul Bayt (a.s.) in Tawi-Tawi and other provinces of the country through various programs and activities and provision of integrated development services to both Muslims and non-Muslims as a key to understanding and long lasting peace and development in the countryside and in the world. 6. To become and serve as model of peace and development initiatives for the succeeding generation. BURHANNUDDIN a student of Qum reciting some verses of the Holy Qur'an during the Nisfu Sha'ban Celebration ( Birth anniversary of the Imam of the Time (a,s.) in Rachel Place and Restaurant, Bongao, Tawi-Tawi, Philippines on July 25, 2010. Brothers preparing decoration for the celebration of Nisfu Sha'ban, the birth anniversary of the Imam of the time (a.s.)- Imam Mahdi (af). Three goats were slaughtered for the celebration of Nisfu Sha'ban (15th Month of Sha'ban).